Plasma is a desktop created by KDE, it is a renowned modern desktop and fulfills the computing needs of every type of Linux users. It is known to be powerful and graphically rich desktop. It offers eye candy interface and is high customizable, you can shape it the way you want. Alongside the other two important components of KDE, Applications and Frameworks, plasma has also received proper updates and bug fixes in last few years. KDE Plasma 5.3.2 is out now. Let’s review its upgrade process on Ubuntu Linux. Kindly note that Plasma 5.3.2 is a maintenance release, which means no new features have been added to the application, rather old reported bugs have been fixed in this release. Here are some important bug fixes in this new release. The most important fix in this release is relating to Shutdown scripts. Network Manager have received major bug fixes. In order to upgrade your current Plasma version to the latest, launch your terminal and run following command to add Kubuntu backports repos to package manager. Run following package manager command to update APT repositories. Now run following dist-upgrade command to get new plasma version on your system. That’s all, reboot and start using new Plasma. Plasma is a well stable desktop; this maintenance release should add more feathers to its stability cap. This new plasma version will be soon part of mainstream package repositories of Operating systems. Thanks Jon It has been corrected now. 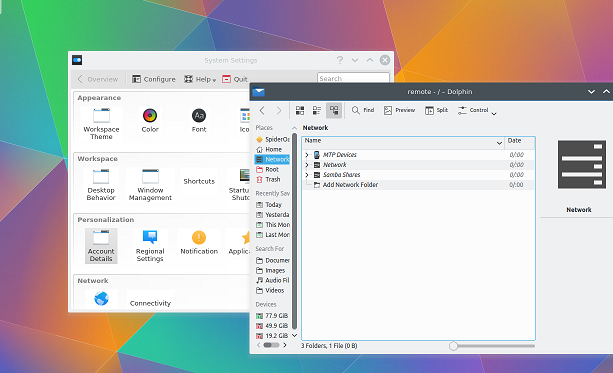 Did this update take care of the issues with Kubuntu 15.04?